Get the facts about the Diamondback Catch 2 in this full review. Are you trying to figure out whether the Diamondback Catch 2 is the right bike for you? There are a lot of bikes out there and I know how hard it can be to sort through all the information out there. If you love to ride, you want to be on a bike that enhances your abilities as a rider and doesn’t hold you back. The right bike can help you feel confident on the trails that challenge you, while the wrong bike will make you feel off on the easiest rides. In this diamondback catch 2 review, I want to lay out the facts for you and tell you about my experience as a rider. I hope this helps you decide whether the bike is the right fit for you. If you’re in a hurry and just want to see the best price for the Catch 2, we got you covered! Click here to see the best price for the Diamondback Catch 2 2016. 1.2 What Is the Diamondback Catch 2 2016? Picking out the perfect bike takes some research, but man is it worth it. Mountain bikes have evolved so much over the past few years. The advances leave us with more options than ever. Each part on the bike will affect your ride, and if you really value your time on the trails, then you know that you want a high-quality bike. You also probably don’t want to break the bank. But you don’t want to sacrifice quality just because of your budget. If you are a passionate, talented rider who wants to keep improving, this is a great bike to consider. This bike is made to be worked. It can handle tight corners, rocky descents, a crazy variety of trail conditions (even snow), as well as technical descents. Riders just starting out might find this bike to be a little bit burly. Beginners may not appreciate the quality of the components. Also, racers who love a light, fast bike probably won’t like the weight of the bike. Think about your riding style and capabilities before getting this bike. What is your ideal balance of suspension to pedaling efficiency? 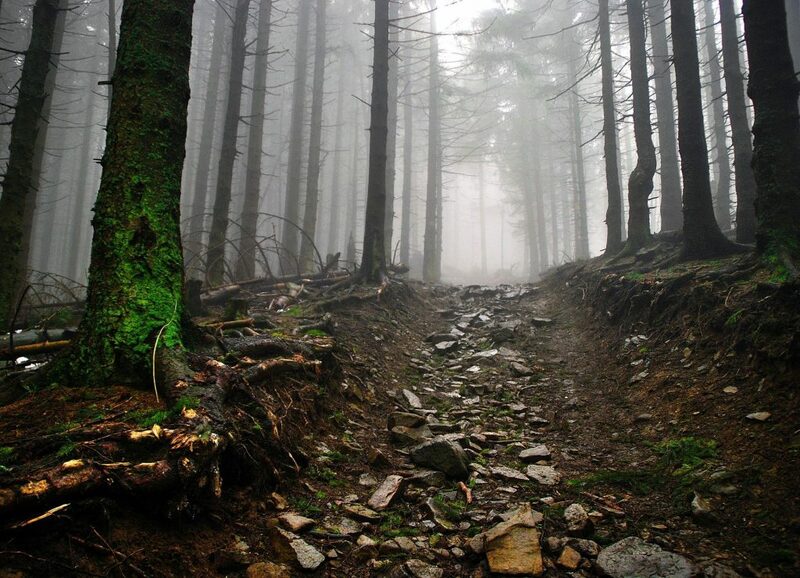 Do you like to go on rocky trails or do you stay on smooth paths? How do you feel about getting a good workout when you climb? How long have you been riding? Do you consider yourself a beginner, intermediate, or advanced rider? What Is the Diamondback Catch 2 2016? The Diamondback Catch 2 27.5 is a trail bike with dual suspension. It is made for riders who get after it on a wide variety of terrain. It is built to handle rutted trails, rocky ascents, obstacles, and more. 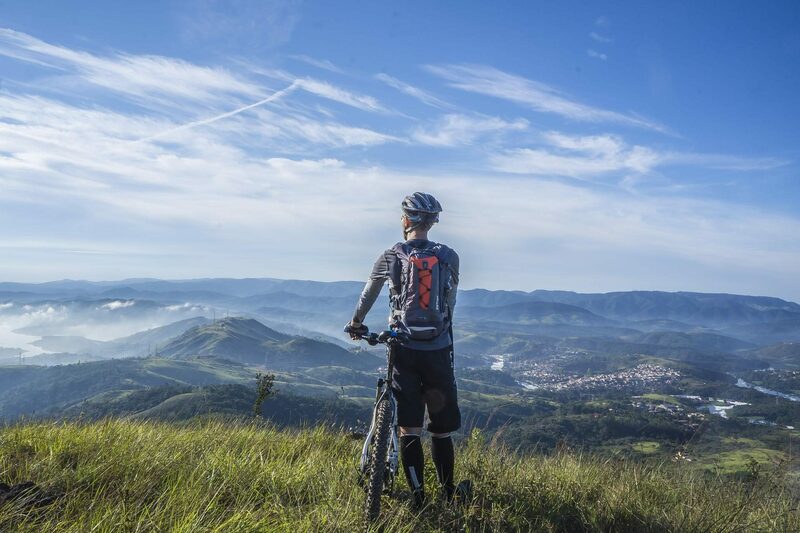 It is for all mountain riders who want to be able to explore. With the DB Catch 2, you can tackle a wide variety of terrain. Suspension: It comes with Diamondback’s specialized Level Link suspension platform and a Fox Float 34 fork. The back and front suspension have 130mm travel. Tires: You get Kenda Havok 27.5×2.8″ tires on Blanchard rims. Weight: The bike weighs in at around 33 lbs, but this varies with size. The designers used a combination of new and progressive components that give this bike a unique feel. I must admit that first, it was very different than the ride I was used to, but I quickly fell in love. It is ideal for riders who want to try the newest tech. The Catch 2 is a part of the Diamondback Catch and Release line that uses the company’s newly patented Level Link suspension platform, which took three years to perfect. The Catch 2 is a high-end bike in the Catch and Release line but still stays under $3,000. It is a step up regarding the quality of the components, from the more basic version of the Catch 1. It has wider tires than the Release models. Wide tires offer lots of stability and traction. The Catch 2 is for the people who will appreciate good parts when they ride them. If you are just taking your bike out in the back yard on short, easy rides than opting for a more basic bike will save you some money. If you love to ride and spend hours on your bike, then you’ll appreciate the quality parts that Diamondback has put into this machine. I love riding all day and not having my gears skip even once. The hydraulic brakes are consistent and dependable. The suspension has the give that I need on rougher trails but allows for efficient pedaling. All of those things add up when you spend a day with your bike! I am an avid rider and don’t shy away from climbs. I ride for enjoyment but also always hope to get a solid workout from my outings. When I started climbing with this bike, I noticed the weight but didn’t mind; I love to sweat! Those who look for a light and efficient uphill climber might find the aluminum frame and fat tires too burdensome. Guys like me who love to get into the grind of a real climb won’t mind the added effort. Wide tires give you lots of traction in all kinds of weather and terrain, including loose dry dirt, light snow, and mud. So, what do you get when you buy the bike? Let me tell you about some of the core features of this bike. Are you looking for an affordable bike that you can take out on some challenging and technical terrain? 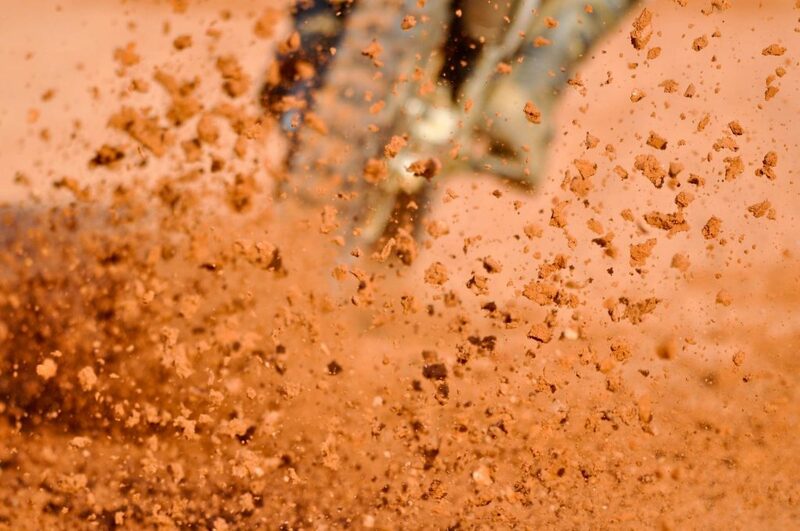 Are you just finding out how much you love riding, and want to up your game? Are you tired of your stiff and unforgiving suspension, and in search of the ultimate ride? If you can handle rough trails, you know that I needed good suspension in the front and rear of the bike. The Level Link suspension design that Diamondback has come up with allows the back triangle of the bike to move at a different angle than the front. This allows for better traction as you climb on uneven terrain. When I first tried out the bike I was amazed at how much momentum I could gather on my ascents. The engineers over at Diamondback based the design on the Virtual Pivot Point suspension set up that was under patent until recently. Diamondback used the VPP concept but evolved it so that it is customized to the Diamondback brand. The unique design along with the high-volume tires makes the 130mm suspension feel like even more when you are using it to its max. The bike is sturdy and efficient when I am pedaling, and yet softens and compresses when I need to depend on cushioning to give me a smoother ride. If you want to feel confident to tackle the terrain that challenges you, the Level Link suspension might give you that boost. It’s a drag to feel held back by your equipment. Instead you want your bike to make you feel better about your riding capabilities. The Fox Float 34 Fork is a top of the line component to this bike that makes it a joy to ride. This fork is designed for aggressive riders. It features a float air spring and a very lightweight chassis. The thing that I like most about this fork is that I know that it is good. I don’t have to think about replacing it with an upgrade, and I don’t have to worry about it not functioning optimally. I know that my suspension is just right when I don’t think about adjusting it! The rebound and compression damping effects are right for riding all over the mountain. My ride flows and I can enjoy the day. If you’ve ever spent time on a bike with clunky shifting capabilities, you know how frustrating it can be. A gear-shift gone wrong can end up breaking your momentum on a tough climb, or worse, ending your day on the trails. The Catch 2 comes with a high-quality SRAM GX 1X11 drivetrain. The shifter gives me lots of options for gears, and I feel confident when I shift that nothing is going to go wrong. I like being able to find just the right gear. It lets me get into the zone and enjoy moving forward instead of fighting the trail. Have you ever applied pressure to your brakes only to have a jerky, abrupt stop? I’m with you. That used to happen to me all the time. I’m used to cable brakes, so the SRAM Guide R hydraulic disc brakes are a real treat. Hydraulic brakes are super consistent and don’t feel jerky or abrupt. You can modulate the pressure and get a lot of fine-tuning. This control is excellent on downhills when you want to be able to manage your speed with precision. At first, the touchiness of the braking system was a little bit hard to get used to. I was applying too much pressure and getting jostled around because of it. But as I got used to it I saw that the highly responsive braking system was a plus, not a drawback. The disc brakes work better than the old style of rim brakes because they are based in the middle of the tire instead of the outer edge. If you are like me and love to ride in mud and dirt, it’s nice to have brakes that are in the center of the wheel away from the dust, dirt, and grime. It’s time to get gritty. What makes the Catch 2 stand apart from other bikes? It combines cutting edge suspension technology with a progressive wheel size and top of the line components. Not many bikes put all of this together at a price point of under $3,000! Tire size and type are important to your confidence as a rider. The wrong tire can leave you spinning out on steep climbs or losing control when you take corners. The Kendra Havok 27.5+ tires are grippy on slick-rock and dirt trails. I like the 2.8” width. The added width makes the diameter of the wheel feel more like a 29” tire, because of the extra volume capacity. This width is perfect for rolling over roots and branches in your way when you are riding in the woods or cruising over rocks on your desert trips. If you have ever envied the fat tire bikers out there that can handle sleet and snow, you’ll be happy to know that this wider tire can grip the trail in a light snow no problem. The added air volume due to the width also allows for more cushion on those rides when you push the limits of your suspension. I have read that the Kendra Havok tires easily convert over to tubeless, but I haven’t tried it yet. The tires are on Diamondback Blanchard rims. The width of the tires creates an outer tire diameter that is closer to 29” than you might expect. This pushes the angles of the frame to something that resembles a 29” bike. That makes this a unique 27.5-inch trail bike. The bike is designed with high quality parts. I noticed the pedals were well made and had great grip. The drivetrain and fork are top of the line. These elements combine to make for an incredibly enjoyable ride. The Diamondback Catch 2 is priced at $2,749.99, which is a steal for a bike with the quality of parts that the Catch 2 has. If sticking to a budget of under $3,000 is key for you, but you still want the ultimate ride, this is a great option. Before I purchased the Catch 2, I did my due diligence and read up on the customer reviews. I found lots that highlighted the features of the bike that I have also come to love. This one by Leah Barber of Singletracks stood out. I loved that she noticed that the bike is a capable climber and also give you stability on the downhills. Excerpt from Leah Barber’s review on Singletracks. Reviewers at the GearInstitute also gave me confidence in my purchase. They found that the bike was a great value for the price, and I have to agree. Excerpt from review on Gear Institute. What do you think so far? Is the Diamondback Catch 2 right for you? Here are some alternatives in case it is close but not quite perfect. Diamondback Release: For those who aren’t interested in the 2.8” wide wheels of the Catch 2, a Diamondback Release might be a better fit. The Diamondback Release also features more suspension (150mm of travel in the front) for those who want more cushion for harder hits. Click or tap here to learn more about the Diamondback Release. Diamondback Mason Pro 27.5: Are you searching for a hardtail bike rather than full suspension? The Mason Pro might be a better fit for you. The Mason Pro also rides on 27.5 plus tires, so you get all of the traction that the Catch 2 offered. The hardtail allows for more rigidity on your climbs, but less of a cushion on drops and bumps. It comes with Shimano Deore M615 hydraulic disc brakes rather than the SRAM Guide R hydraulic brakes on the Catch 2. Click or tap here to learn more about the Diamondback Mason Pro 27.5. Fuji Rakan 1.3 29er: The Fuji will be a good alternative if you have your heart set on a 29-inch tire size. 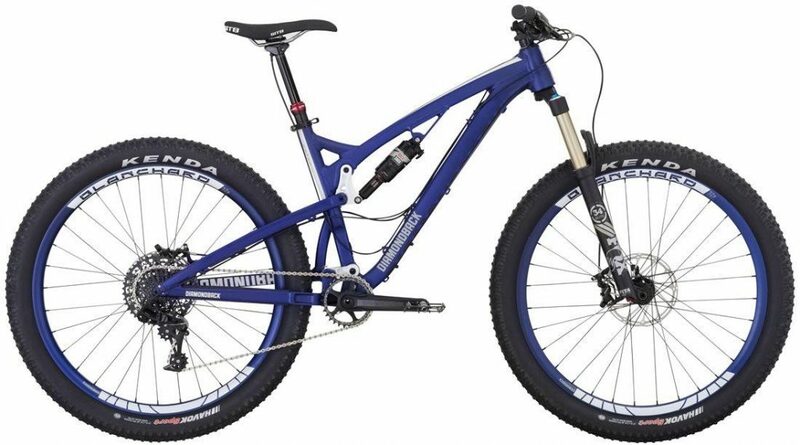 The Fuji is a strong all mountain trail bike with mid-travel regarding suspension (120 mm compared to the Catch 2’s 130 mm). It features a Shimano XT 2×11 drivetrain which delivers many gear options. Great for riders who are into endurance riding. Click or tap here to learn more about the Fuji Rakan 1.3 29er. It can be tough to pick out the right bike for your riding style. You love the sport and want a bike that will enhance your abilities, not hold you back. The Diamondback Catch 2 made me feel more confident on the trails and tackle the routes that challenge me and help me grow as a rider. It has great suspension while still being extremely efficient on the flats or climbs. The fat tires are super grippy on all kinds of surfaces and will give you a feeling of stability. You’ll probably enjoy knowing that the rugged tires will bite into the mud, loose dirt, and snow. If you want a sense of control on your descents, the added traction from the tire width will help you hold your ground and stay strong around sharp corners.